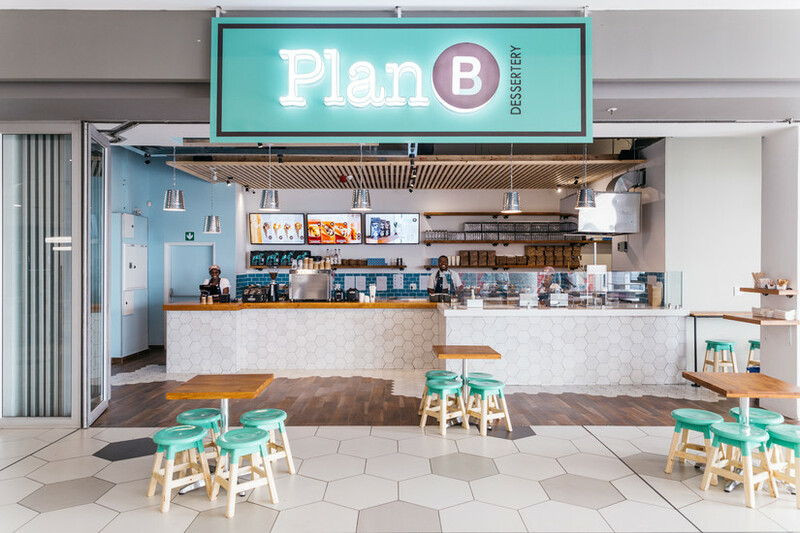 Nirvana for the die-hard sweet tooth, Plan B Dessertery specialising in street food-style desserts is a Durban import brought to Joburg by the same team who launched the Wakaberry chain of frozen yoghurt bars. 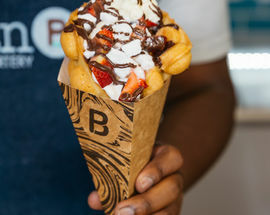 There are three menu items: bubble waffles, ice-cream tacos and churros. 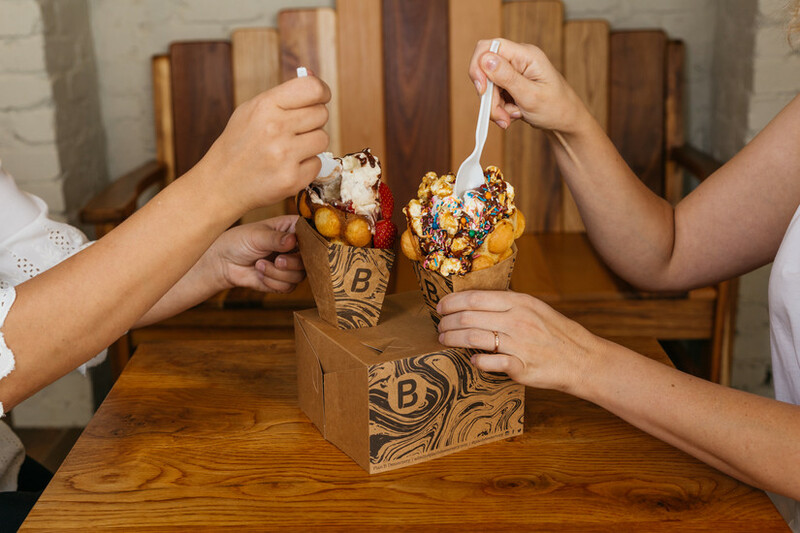 Don't set out to try all three styles in one sitting (as we did) unless you are trying to set some kind of Olympic record for the sugar board – each item can easily be shared between two people. 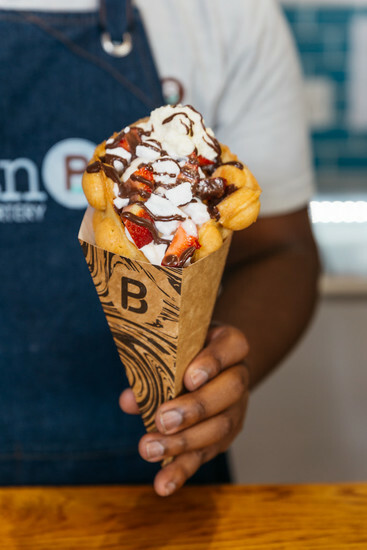 The ice-cream tacos are as they sound – a sweet wafer shaped like a taco and topped again with a crazy amount of sweet stuff, that includes two giant ice-cream scoops. 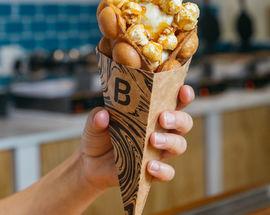 Meanwhile the churros come in three varieties; bite-sized, classic giant-shaped or stuffed with chocolate custard. 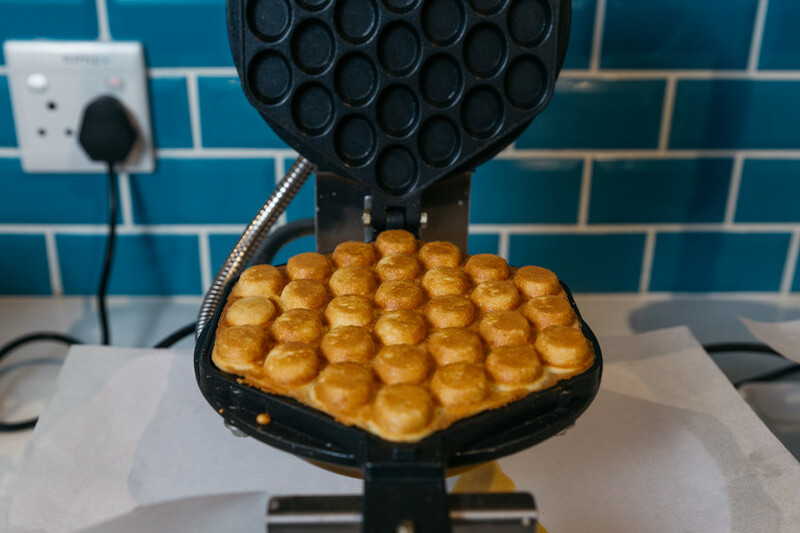 The Bubble Waffle is said to be Hong Kong's most popular street food. 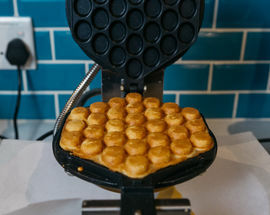 In its original form the gai daan zai (Hong Kong cake) is a waffle whose distinct shape looks like a kind of bubble wrap in dough form, generally eaten plain. 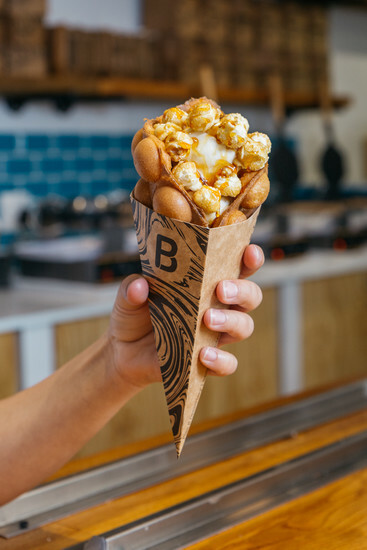 In the last ten years Hong Kong's bakers started experimenting with this humble snack, wrapping them up into stuffed cones, creating a global street food craze that has now arrived in Joburg. 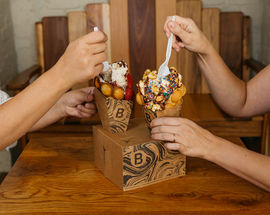 Plan B's ice-cream stuffed bubble waffles come in nine varieties topped with everything from nuts and syrup to meringue and honeycomb. 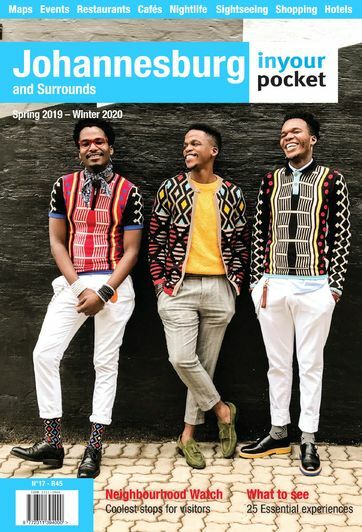 We recommend the Captain Crunch; topped with caramel popcorn, candied nuts and maple syrup or go all out and order the Rainbow Nation (mini Astros, caramel popcorn, rainbow sprinkles and chocolate sauce), a perfect colour splash for your Instagram feed. Whichever you opt for, be sure to also buy a bottle of the highly collectable ‘It’s not made in China’ filtered water bottles, covered in quirky illustrations by Durban designers. Not only are they perfect for taking home to use as your regular water bottle (meaning you don't need to keep piling up that plastic waste) you are guaranteed to be super thirsty after all that sugar. 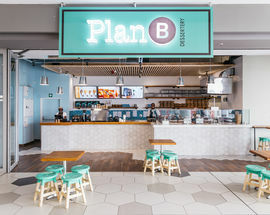 Once you are done with Plan B, we recommend Plan C – walking home. Open 10:00–21:00, Fri, Sat 10:00–23:00.